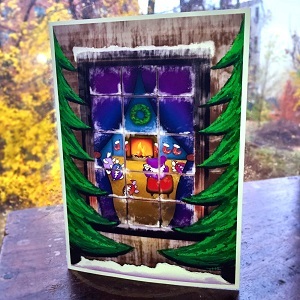 This Grateful Dead greeting card has a terrapin and bear in the winter window. Card is blank inside for your own message. Comes with colored envelope. Artwork by Taylor Swope. Officially licensed by Grateful Dead Merchandising.